The Fraternal Order of Police says they have been receiving an outpouring of calls from the community, asking how people can help support the family. 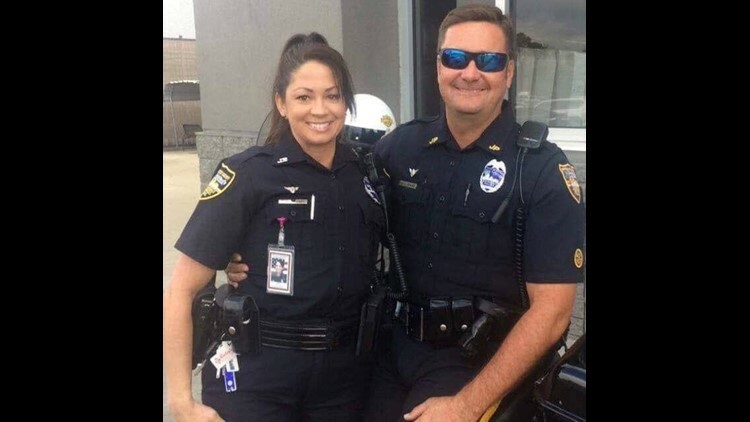 The Jacksonville Fraternal Order of Police has established a Fallen Officer Relief fund in the wake of a DUI related crash that killed one of their own. JSO court bailiff, Cathy Adams, was ejected from the car she was traveling in Sunday night after a suspected drunk driver crashed into them. Her husband William Adams, a motor officer for JSO, was also in the vehicle alongside their two teenage sons. William Adams was transported to the hospital in critical condition. Unfortunately, Cathy Adams has since passed away as a result of her injuries. Monday, the Fraternal Order of Police posted on Facebook that they have been receiving an outpouring of calls from the community asking how people can help support the family. They want to encourage people to come out to the upcoming 'Picture with Santa Fundraiser' event where they will be accepting donations to help the Adam's family on their road to recovery. If you can't make it to the event but you'd like to help, checks can be made payable to the Fallen Officer Relief and Welfare Fund 5530 Beach Blvd Jacksonville, FL 32207. You can also call (904)-398-7010 ext 10 or 11 and donate via debit/credit card.